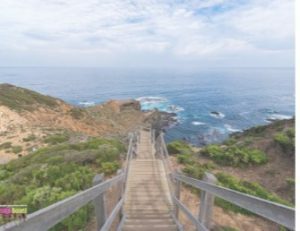 Cape Schanck is at the southernmost tip of the Mornington Peninsula, with the Cape Schanck Lighthouse being its most recognisable symbol. The boardwalks along the coastline are also becoming a well known symbol. 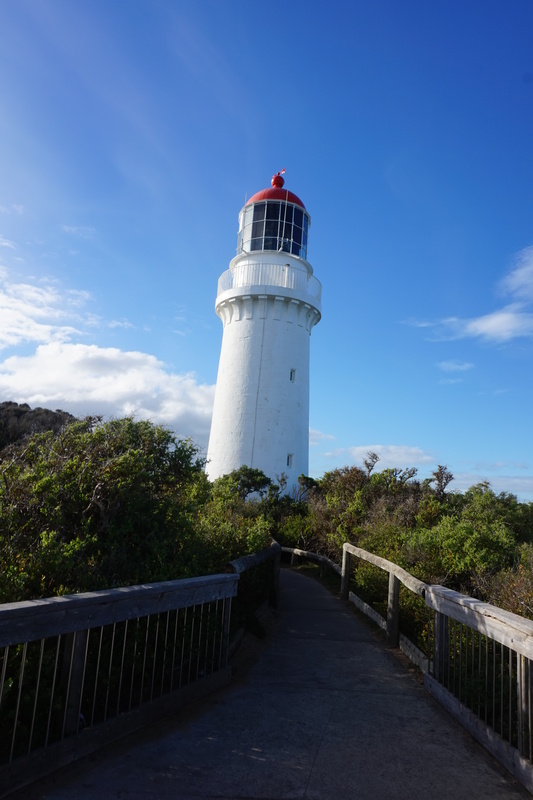 The walk from the carpark to the Cape Schanck Lighthouse is a walk through coastline belonging to Parks Victoria. 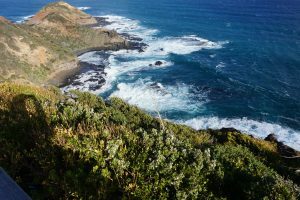 The walk is via boardwalks and pathways along the coastline, overlooking Bushrangers Bay, to the lighthouse. There are also many walking tracks through the surrounding national park. 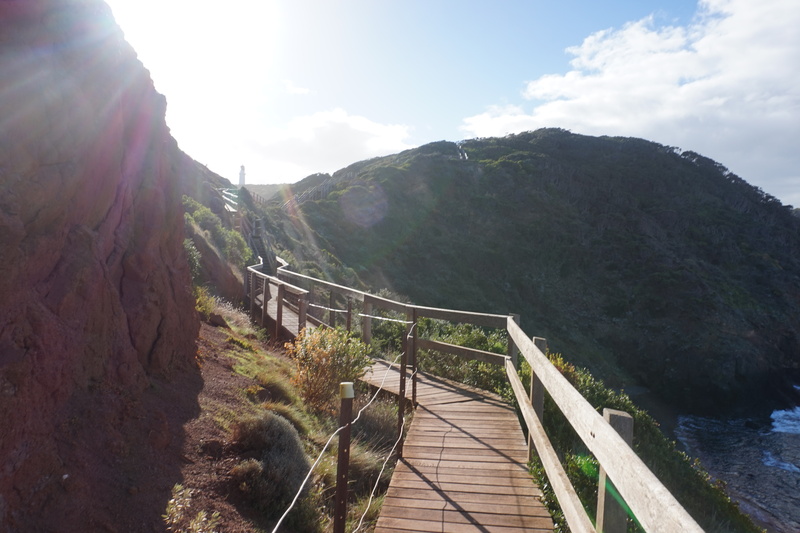 This is an easy walk along a boardwalk, and coastal paths, including many steps, both descending and ascending. The day we were there was very cold and very very windy. But the weather didn’t at all detract from our enjoyment of this beautiful walk. That would be lovely Sue. And I agree with you. 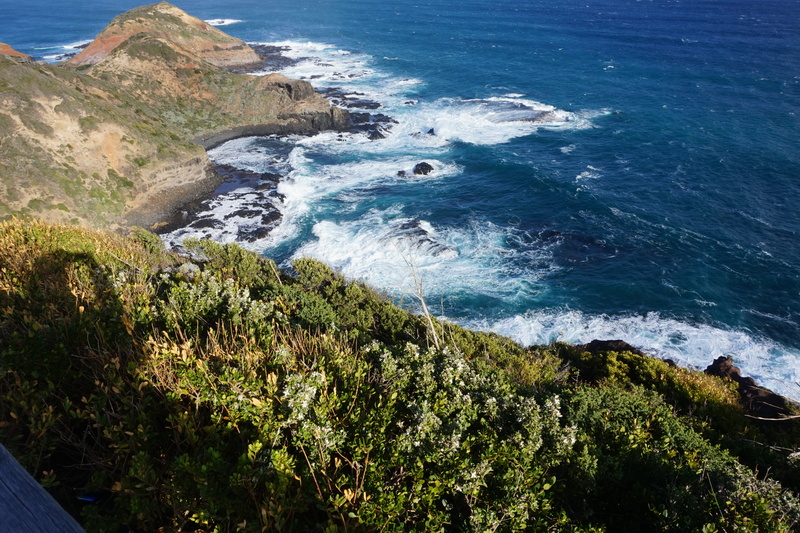 The Mornington Peninsula is a lovely part of the world.